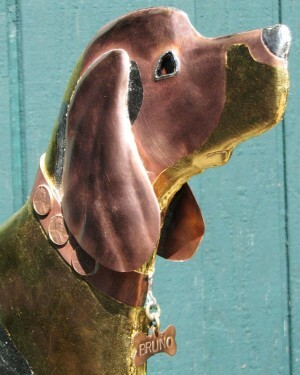 The material of choice for making weather vanes has always been copper. It is used for its longevity, and workability into fine detail. 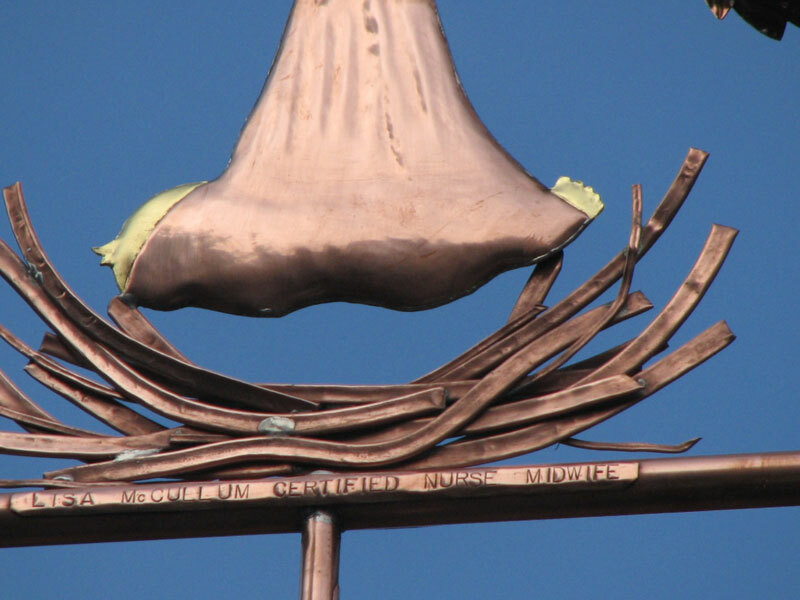 There are handmade copper weather vanes in New England that were installed before the American Revolutionary War that are still up and functioning today. 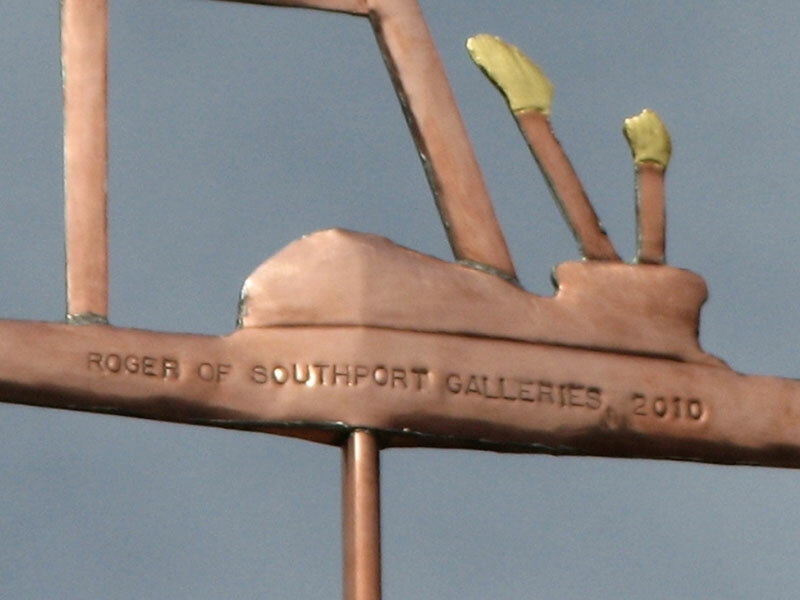 Hand crafted copper weather vanes ordered now could be kept in a family for multiple generations. 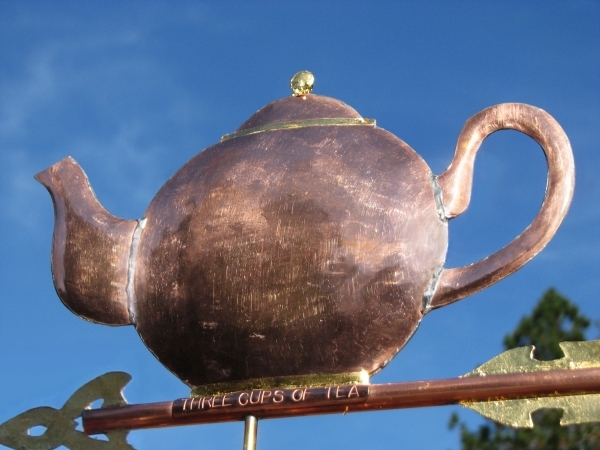 If you would like, we will include a stamped inscription of up to 30 letters (at no additional charge) on your weather vane. Possible inscriptions could include a family name, a special saying, a memorial commemoration, etc. The location of the inscription can vary depending on the vane selected. 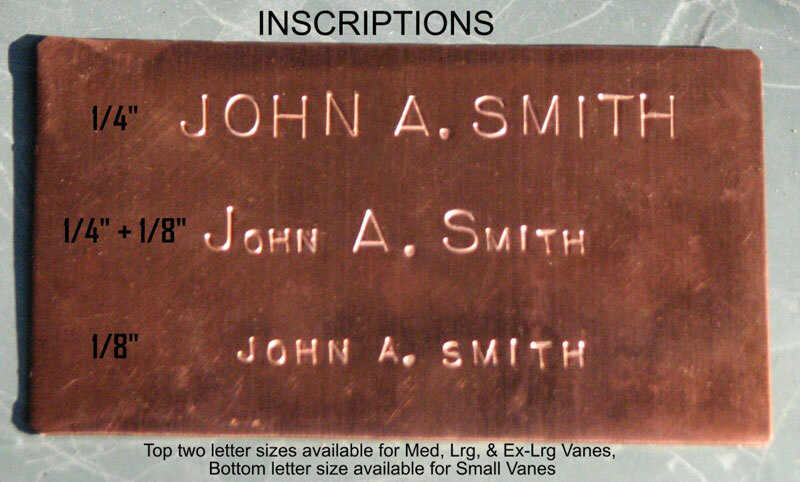 Longer inscriptions can sometimes be accommodated, depending on the design, for an additional fee. While the letters may be too small to see when up on the roof or a cupola, because they are stamped into the metal, they should still be legible for many decades. 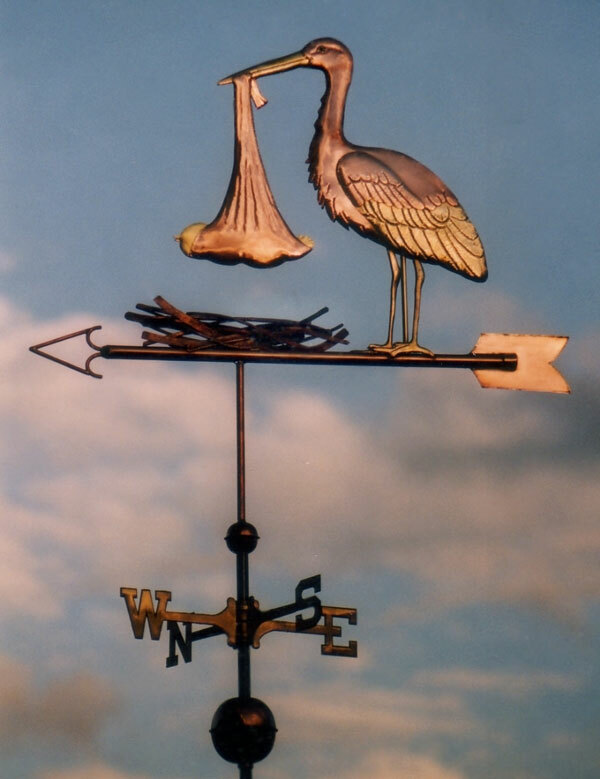 At some point, the weathervane may be taken down and displayed indoors as a piece of American Folk Art. 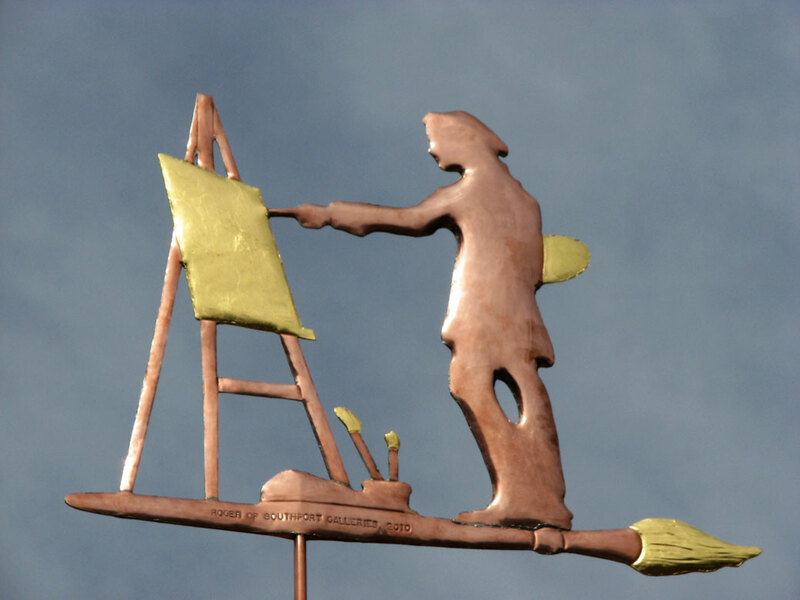 Even 100 years from now, an inscription put on a weathervane today will be there for future generations to see and enjoy! 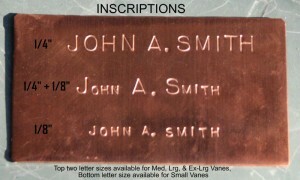 The photo left shows some sample inscriptions which are hand stamped into copper or brass using individual die cast letters. The top inscription shows ¼” tall stamped letters and are typically used on our Medium, Large and Extra-Large sized vanes. The second inscription is done in a combination of ¼” tall letters and 1/8” tall letters. Occasionally, a customer would like us to use upper and lower case letters. While we can’t do actual lower case letters, the combination of the two different sized letters conveys a similar effect. The bottom inscription is done entirely with 1/8” letters, and are typically used on our Small sized vanes. 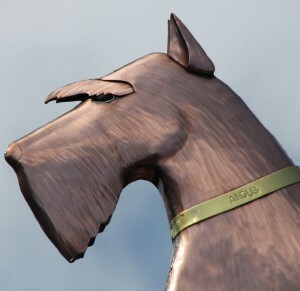 Inscriptions can also be placed on dog or cat collars and/or on pet tags in the shape of a heart, dogbone or circle. 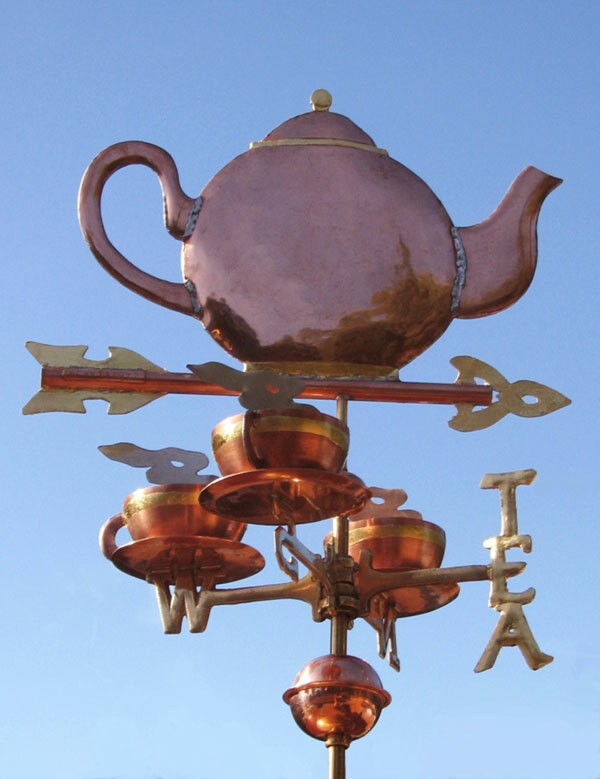 Here are some examples of weathervanes and their inscriptions that we have done for other customers. Many of our small weather vanes are ordered with a 5 1/4” diameter brass base. 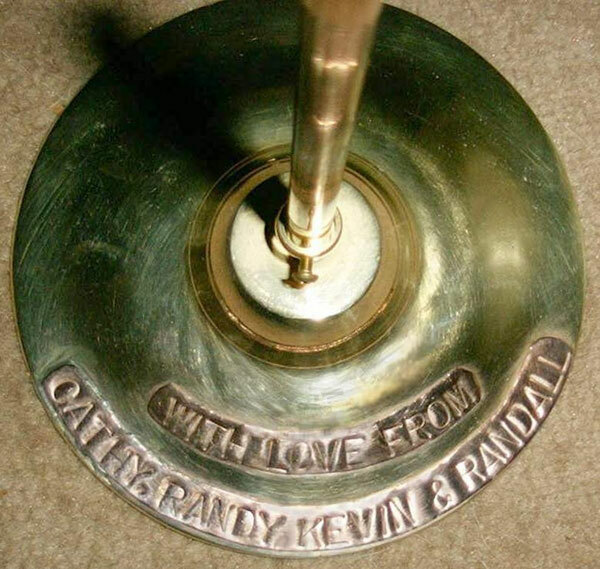 If there is no room available on the weathervane sculpture piece itself, the personalized inscription can be placed on the base as shown by the example below. If you decide you want an inscription, we can usually do any combination of letters. Sometimes the size of the vane or the space available determines how an inscription can be applied. If you will be having an inscription on your new weathervane, it works best if you email it to us, assuring it will be correctly stamped and punctuated.